Large scale coffee production began in the 1850’s and quickly became a critical component of the Nicaraguan economy. The North part of the country accounts for the majority of production and once again the volcanic and mountainous topography of the land provide fantastic conditions to cultivate coffee. The 1990s saw political and economic stability which brought about more focus on coffee production and there have been many public programs established to support coffee crops. 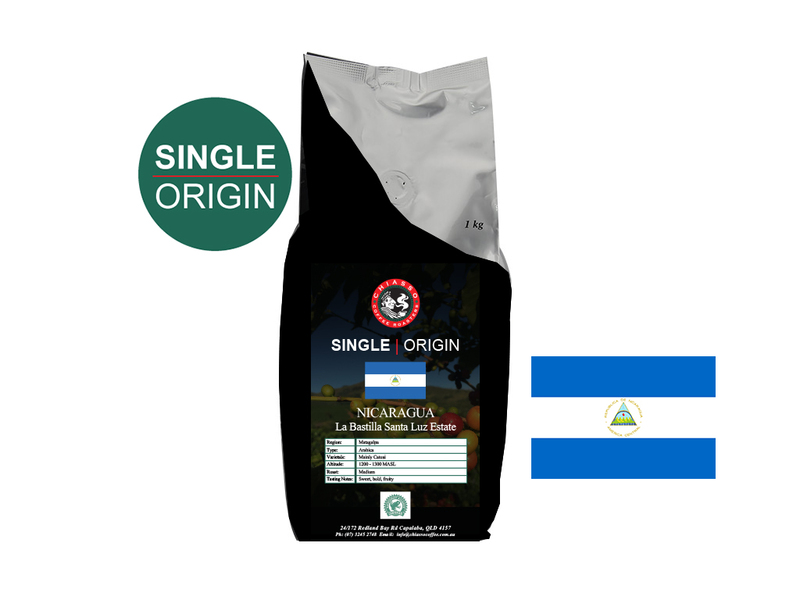 Our range of Nicaraguan coffees include some delightful microlots sourced by us and our sister company. Every year we have seen stunning microlots out of La Bastilla Estate who produced the El Penon in 2015 and Blueberry Candy in 2016. This year's Blueberry Candy is sensational, joined by two new Honey Processed microlots, Honey Buena Vista and Honey El Buey. La Bastilla Coffee Estates owns two coffee farms in Nicaragua, La Bastilla in Jinotega and Santa Luz in Matagalpa. Under Markus Fisher who runs the estate and Agronomist, Martin Montero, they have both focussed on the speciality market. The estate is fully independent, using its own resources for every stage of the operation from seed to export container. La Bastilla works closely with F.E.E.R; the Foundation for Rural Education and Entrepreneurship which engages the farms youth to promote quality education. The estate has around 50 permanent staff and up to 500 temporary staff during harvest. Production is 4000 sacks per year. We have a long association with La Bastilla Estate and in particular coffees from the La Bastilla farm. Situated approximately 20 kilometres from Jinotega, the farm is adjacent to the Datanli el Diablo Nature Reserve, an important biological reserve in the Jinotega area. The farm itself covers 311 hectares with 160 hectares under coffee cultivation. The remaining area is mostly primary forest protected by law through its proximity to the nature reserve. This forest area provides La Bastilla with a unique microclimate and sanctuary for a number of plant, animal and bird species. Some land on the estate is dedicated as an agricultural area used by La Bastilla Agricultural Technical School. Opened in 2008, the school trains students in agriculture and eco-tourism. La Bastilla farm also has a number of micro-plantations at different locations and altitudes that produce some amazing coffees including the wonderful El Penon Blueberry Candy. 2017 is our second season of La Bastilla micro specialities.